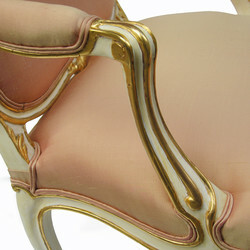 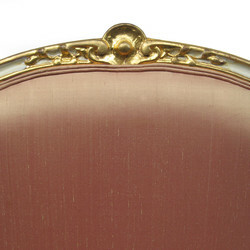 A fine pair of Louis XV first revival armchairs. 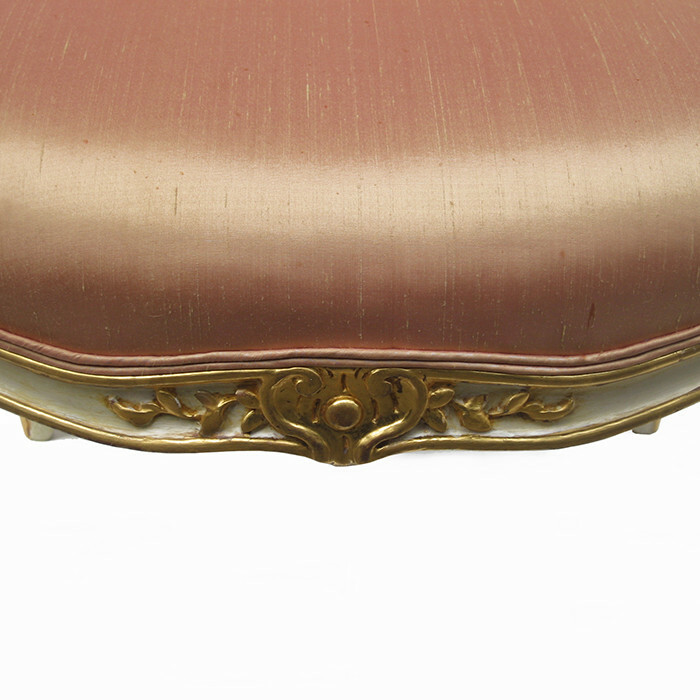 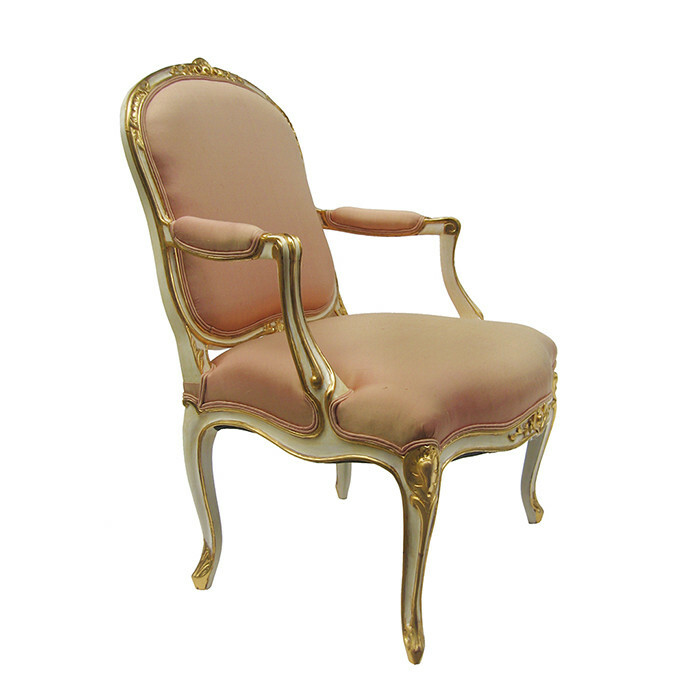 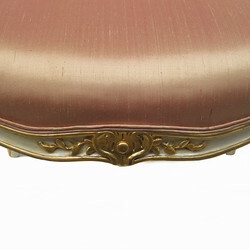 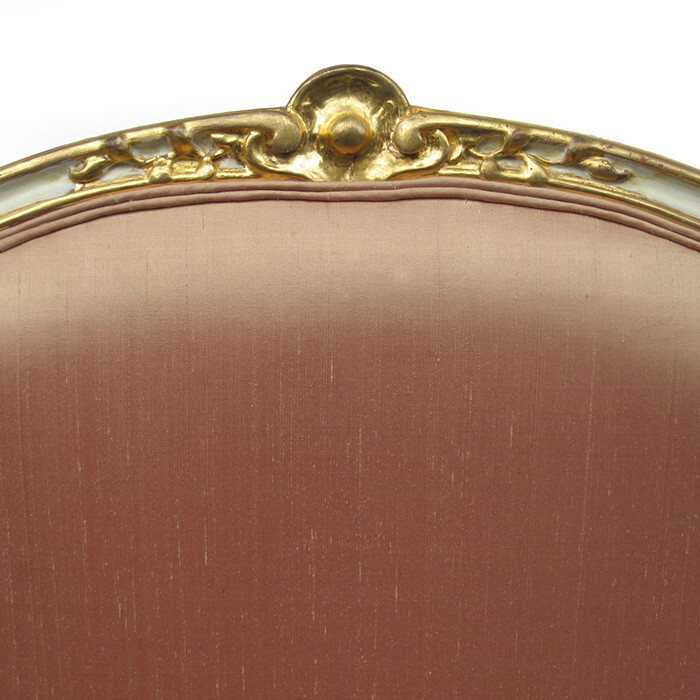 Polychromed in Ivory with fine gilt carved details. 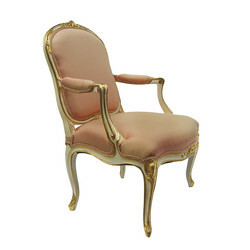 Dimensions: H:36½ W:25 D:21½ Seat H:17 Inches.